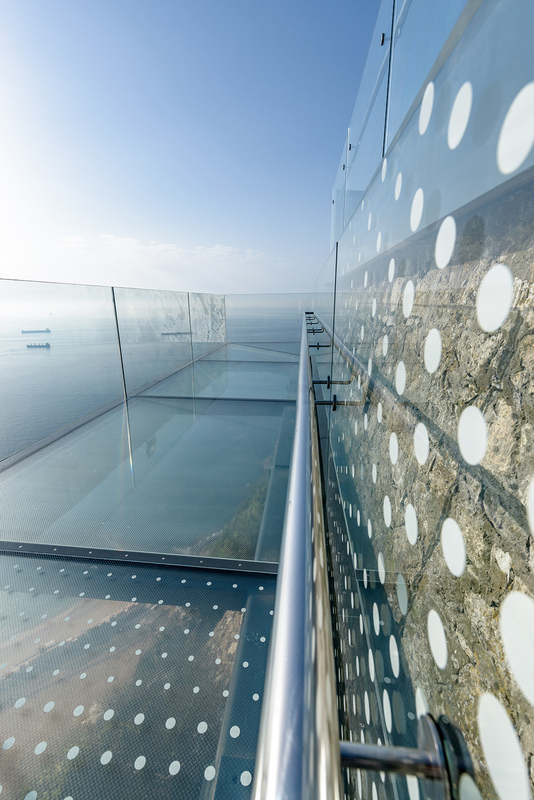 The purpose of this project was to build a cantilevered glass walkway over an existing military platform respecting it, with the least possible visual impact. 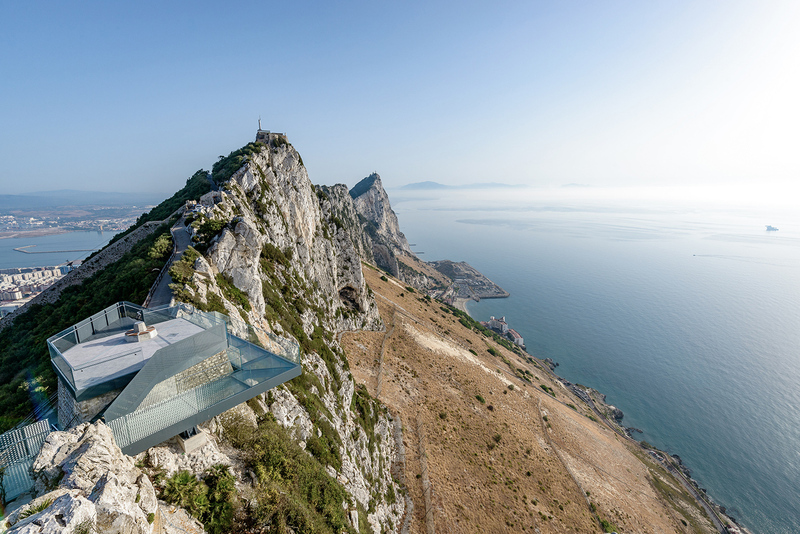 This platform is linked to Douglas Path reaching the top of the Rock of Gibraltar. 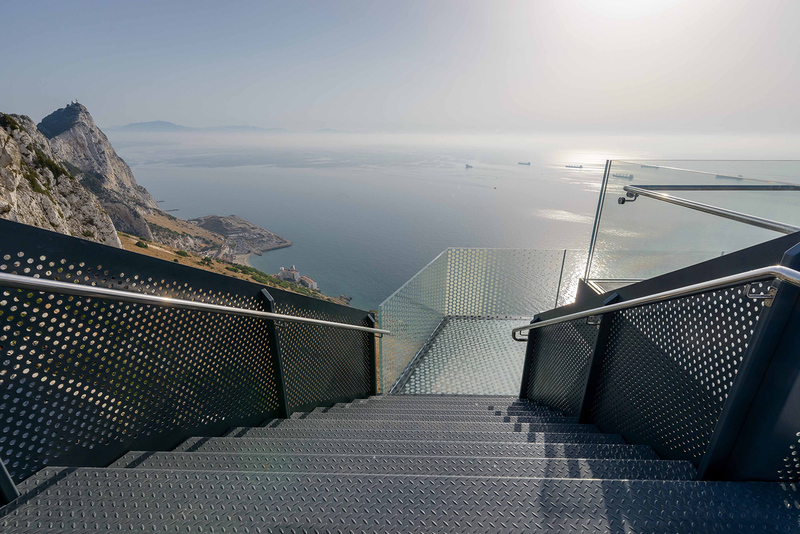 For this reason we created a route that surrounds the military platform and allows us to see the landscape from different points and levels, getting 360o views of Europe and Africa. The structure is embedded into the rock foundation at the least possible number of spots and leaves a large cantilever that surrounds the existing platform. 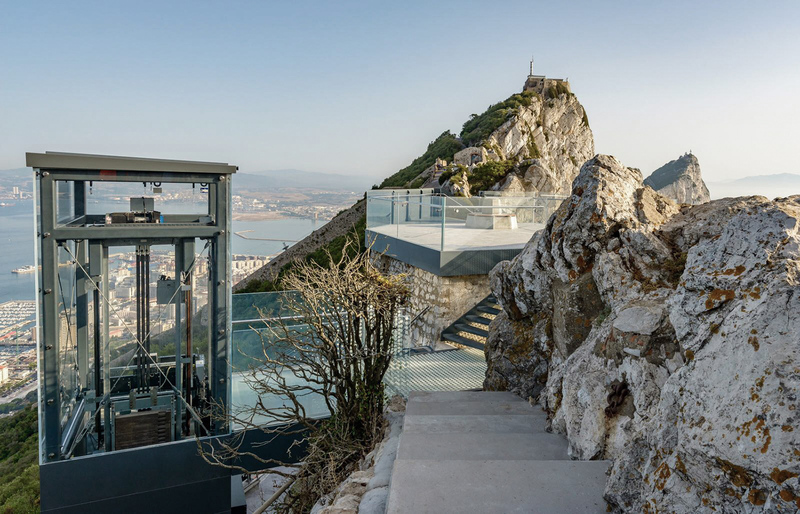 The whole sculptural piece is constructed of glass with the minimum possible structure, leaving the views of the landscape clean. 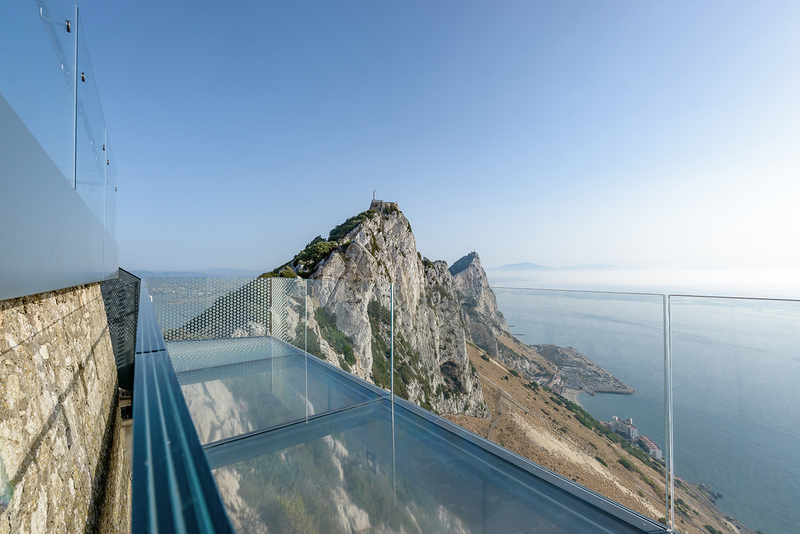 There are moments in the Rock in which the fog envelops the mountain and makes it disappear; so we applied to the glass a serigraph simulating this effect, having the maximum transparency in the largest cantilever, with about 300 meters fall to the sea beneath the feet.